All piping systems have one thing in common; they must be absolutely leak proof for the medium to be transported. Therefore, a primary quality criterion is the maintenance of the specified target dimensions, in particular at transition points between two pipes. The ConPro company produces complete measurement systems for the inspection of the required dimensions of pipes during production. The DimCon system is intended for random sample inspections. Pipes, fittings and sleeves made of plastic, ceramic or metal materials, are checked using this system. The test items are placed in the machine manually and inspected automatically. Laser sensors are used here in order to make the measurements as fast and convenient as possible. 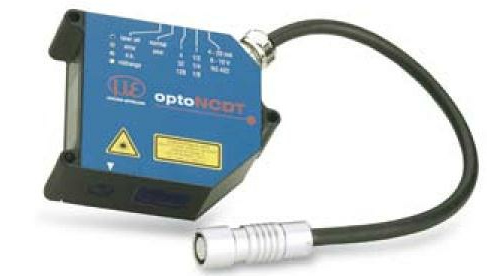 Two optoNCDT 1700 laser sensors are used for this, which measure according to the differential method, i.e. both signals are evaluated together and diameter, ovality or eccentricity are output. The sensors are located on a plate with a stay and an adjustable mirror at the end, which deflects the laser bean by 90° so that one of the two sensors can measure the pipe from the inside. The plate continuously rotates and can be moved horizontally. 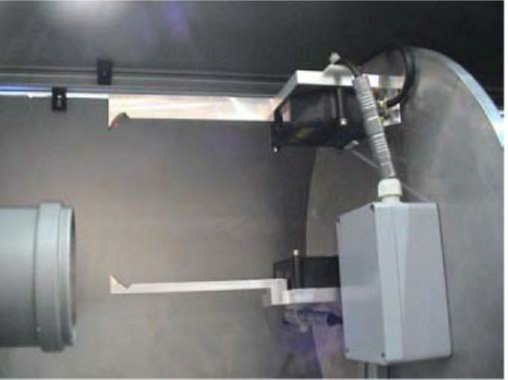 Due to the rotation of both sensors, a continuous thickness profile of the measurement object is produced.